Grazie Mille to my friends at Luxury Escapes for the lovely chat. If you would like to read the full interview go to the Luxury Escapes Magazine. For the full interview go to the Luxury Escapes Magazine. 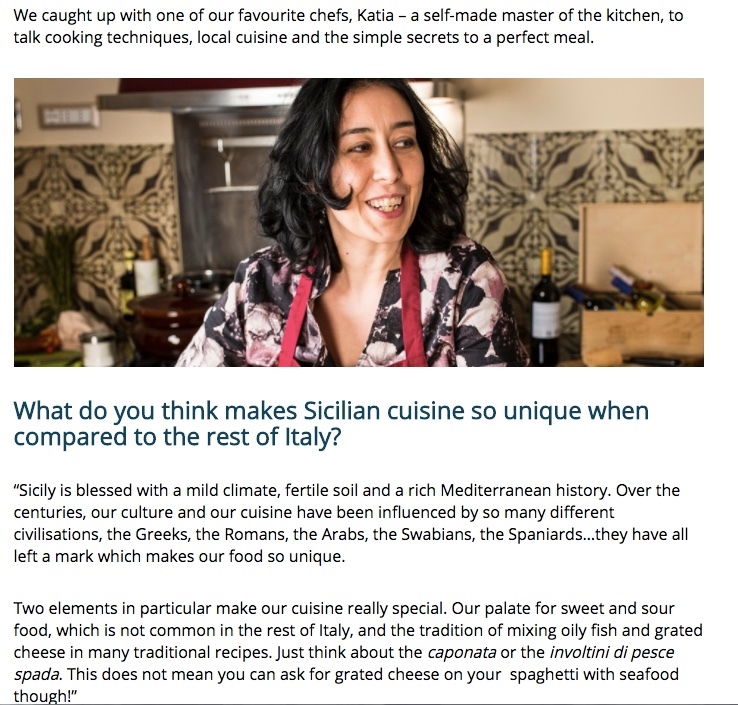 Cooking Classes in Sicily - What to expect. Never Imagined My Cooking School Could Inspire a Novel! My take on Masterchef Italia! Almond Harvest 1981 -2011: the legacy is in your taste buds!